This one’s always a winner. Meaty, rich and seriously good. Turn on the oven and heat to 200 degrees. Place the pulled pork in a baking dish and bake for about 40-45 minutes. When the pulled pork has been in the oven for 15-20 minutes put the sweet potato skins on a tray and bake for 30 minutes. 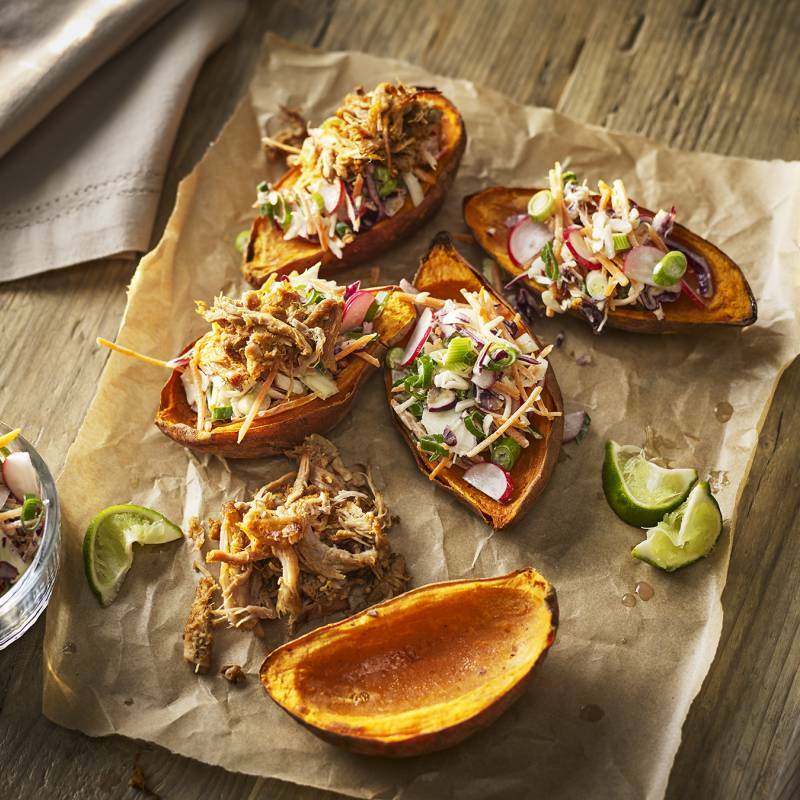 Whilst the sweet potato skins and pulled pork are in the oven you can make the coleslaw by placing the red onion, cabbage, carrots, radishes and spring onion in a large bowl, mixing in the mayonnaise until everything is evenly combined. Keep some of the spring onion aside for garnish. 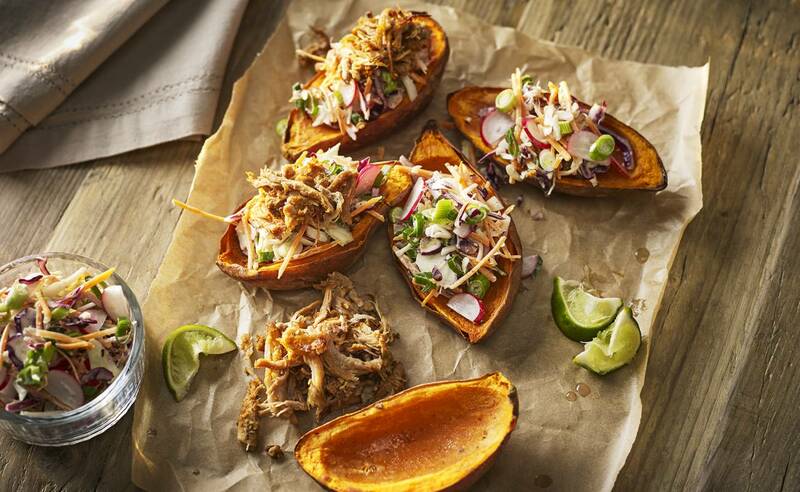 When the pulled pork and sweet potato skins are ready, take out of the oven and shred the pulled pork with a couple of forks. 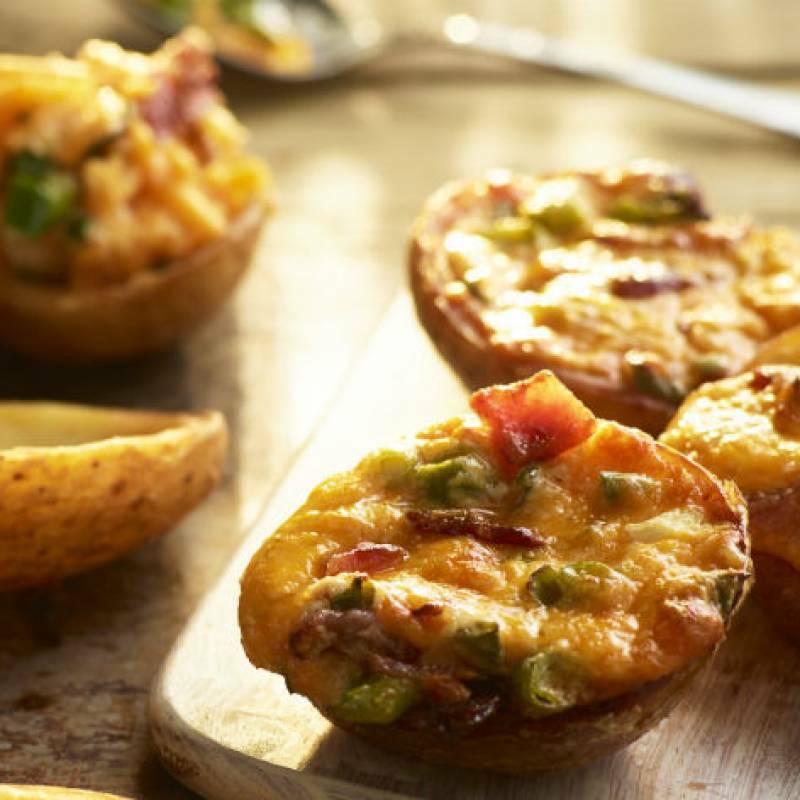 Top each potato skin with the coleslaw and pulled pork then garnish with spring onion. For extra impact, serve on a wooden platter for sharing.